Who knew the watery mess umbrellas leave behind could be leveraged? That’s precisely what Jean Huang, a student at Central Saint Martins, designed. 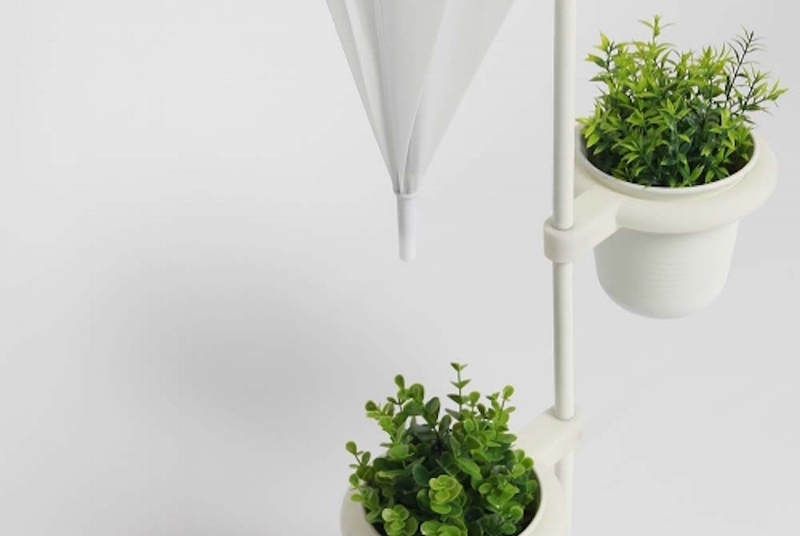 LÖV is an umbrella stand that uses the falling drops to water plants and/or herbs below. The project was an initiative from Huang to encourage the young people of London to eat healthier, instead of the cheap fast food options so readily available. He figured that if eating healthy was affordable and as convenient as growing your own vegetables from umbrella water, why not take a stab at it? “LÖV as a design solution, encourages users to grow their own vegetable but also can be used as an umbrella stand. It holds the umbrella vertically for saving space. With built-in grow light source and drops from the umbrella, it allows user to grow their vegetable in convenient, affordable way,” said Huang.